I want to be truthful up front. I am a certified nut when it comes to Japanese military history and an Oda fanboy. I also happen to be a great admirer of the game 'Pike and Shot' which 'Sengoku Jidai' is based on. Let's see how the newest use of the game engine measures up. Nobunaga, Hideyoshi and Tokugawa were watching a cuckoo bird, waiting for it to sing, but the bird wouldn't sing. 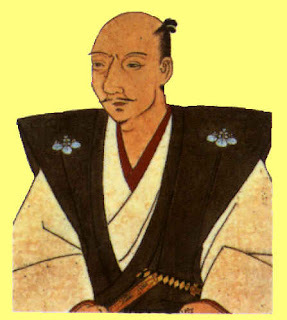 Nobunaga says "Little bird, if you don't sing I will kill you". Hideyoshi says "Little bird, if you don't sing. I'll make you sing". Then Tokugawa says to the bird "Little bird, if you don't sing I will wait for you to sing". The tale above was taught to Japanese children for the longest time and may still be. This is a tale to explain the three different ways that Oda Nobunaga, Toyomoti Hideyoshi and Tokugawa Ieyasu dealt with situations. These three men were leaders of armies during the end of the Sengoku Jidai (warring states period) of Japanese history. The Sengoku Jidai era is usually listed as 1467-1603. Armies roamed all over the Japanese islands at this time in an attempt to make their lord the Shogun. Shogun is the short form of Sei-i Taishogun (Commander-in-Chief of the expeditionary force against the barbarians). The shogunate lasted from 1192-1867. There was still an emperor during this time, but the Shogun was the real ruler of the state. The game spans hundreds of years in the scenarios. 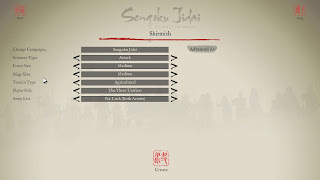 It shows the change of the samurai from archers to mostly swordsmen.The actual Sengoku Jidai period takes the player from battles where matchlocks are unknown, to where they have become a decisive weapon. By the 1580s, the Japanese, especially under Oda Nobunaga, were capable of meeting a western army as equals. Under Tokugawa Ieyasu, and his descendants, the Japanese ability to wage war was stifled in its cradle. So, by the time Perry came to Japan in 1853 he was presented with a medieval society. We are used to the western way of war, cavalry on the flanks and infantry in the center. The actual Japanese battle formations were actually much more complex. They sometimes resembled a marching band that spells out their school name on the field. The game itself comes from a mod that someone created for 'Pike and Shot'. 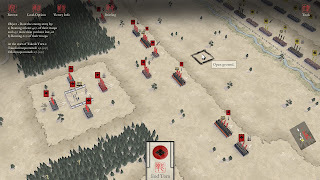 It is published by Slitherine games. 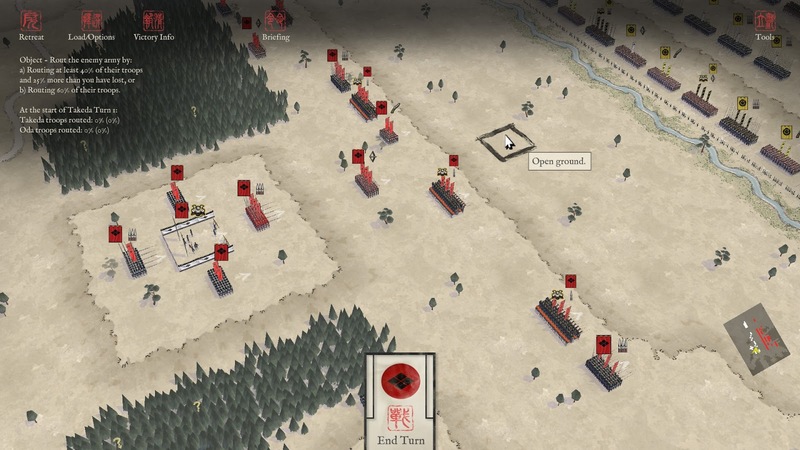 'Pike and Shot' is a tactical renaissance game. 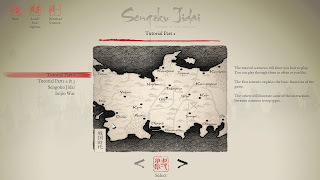 'Sengoku Jidai' is a tactical wargame of different eras of Japanese history. 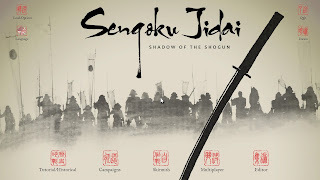 The game comes in two flavors: 'Sengoku Jidai: Shadow of the Shogun', and 'Sengoku Jidai: Collector's edition'. 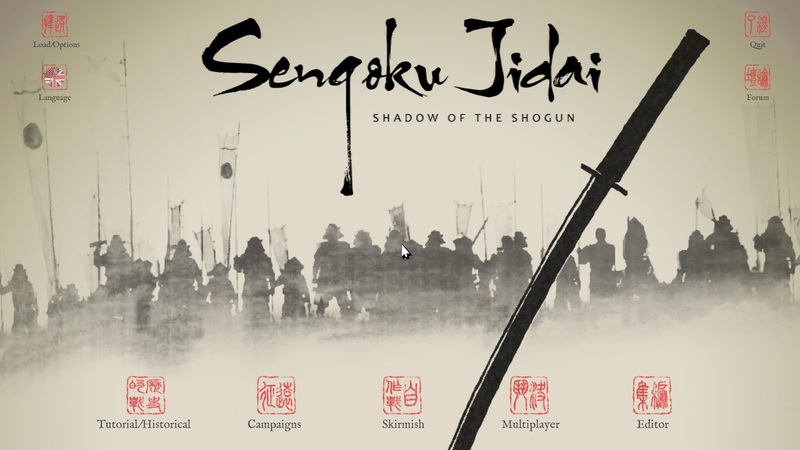 You can also purchase separately the DLC that turns ' Shadow of the Shogun' into the collector's edition.The collectors edition and DLC add the following: the Bjeongja Horan campaign, the Genko campaign and the Genko skirmishes. It also comes with three books in PDF form. These are 'Colonies and Conquest' army book, 'Empires of the dragon' army book and 'Field of Glory renaissance core rules' book. There are five modes to play in. 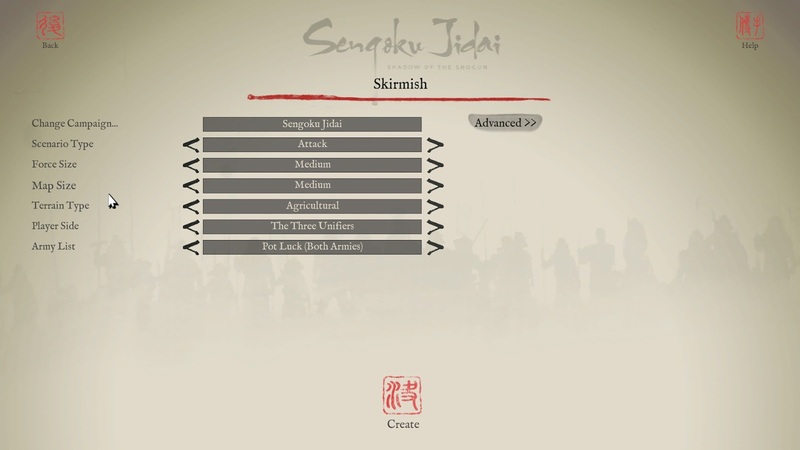 The tutorial/historical, campaigns, skirmish, multiplayer and editor.It is a turn based game. As in, IGO-UGO. There are also six difficulty levels to learn or play against. The skirmish scenarios can be randomly generated for hours and days of extra playtime. The biggest change from Pike and Shot is the addition of general units. They can influence both combat and morale. They can even be used to attack your enemies' generals. It comes with a three part tutorial. There are fourteen historical battles to choose from, nine from the Sengoku Jidai period and five from the Imjin war ( Japanese invasion of Korea). There is an astounding six campaigns to choose from. These are Tenka Fubu, Sengoku Jidai, Imjin War, Sekigahara, Byeongja Horan and Genko. These take you from the thirteenth to the seventeenth century. Tenka Fubu is the campaign of Oda Nobunaga to conquer all of Japan. Sekigahara represents the campaign where Tokugawa Ieyasu becomes the strongest leader in Japan. Byeongja Horan is the campaign between the Joseon ( Korean kingdom) and the Manchus. Genko is about the Mongol invasion of Japan in 1281 and is non-historical because it does not have the Mongol fleet destroyed, as it was in the previous invasion attempt, by the kamikaze (divine wind). Multi player uses the same system as Pike and Shot and is pretty much seamless. The editor gives the player the power to create new, or to adjust scenarios as they see fit. Tried and true tactics win the day here. Inflict casualties and disruption with ranged fire, and then strike home with high value melee units. Keep reserves to exploit a weakness in the enemies line or to plug a hole in yours. As in Pike and Shot, the AI is no slouch. You will be hard pressed to pull out a win in some scenarios. Make a mistake and it will punish you. Woods and broken terrain affect the movement and effectiveness of your units. For lovers of Japanese history and tactical wargames you can't do better. I have always wanted to destroy the Takeda cavalry as Oda Nobunaga, but understand completely why the battle of Nagashino is only playable from the Takeda side. To me, the only thing that is missing in this game is a Gempei war campaign (Taira and Minamoto war 1180-1185). Hopefully, it will be added as a DLC or a fan made mod. I have always longed to teach Minamoto Yoritomo a lesson. Are you fit to be Shogun? Do you have what it takes to face down Oda Nobunaga, or possibly the guy down the street? Yes, you know the one, he has a full set of life sized samurai armor in his den. Then look no further. Revel in this new release from Matrix/Slitherine. For people who are not familiar with Japanese military history this is a great place to start. Especially with the collector's edition added books. For those of you who only like WEGO games, do yourself a favor and try at least one of the games in this series. seppuku is the correct word for the samurai's ritual suicide. Hara-kiri just means belly slitting.